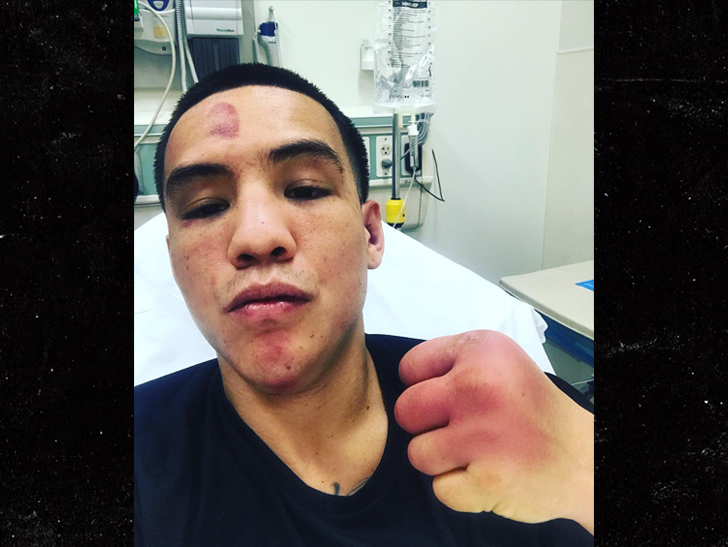 Here’s undefeated boxing champ Oscar Valdez proving even winning hurts in boxing — showing his totally jacked up fist (and face) following a big win in an absolutely brutal fight this past weekend. 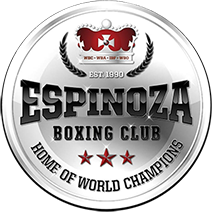 Valdez gutted out a tough victory over Scott Quigg Saturday night in a controversial and dangerous bout — mostly because Quigg came in overweight for the fight and made it a slugfest. FYI, Valdez (24-0) and Quigg (34-2-2) were supposed to fight at 126 lbs … but Quigg missed weight and then ballooned up to 142 lbs on fight night while Valdez DID make weight. Oscar won on points to keep his featherweight title, but had to have his jaw wired shut after the fight — and judging by these recovery room pics, dude might have someone opening his sodas for a while. As for Quigg, he also posted a post-battle photo — and, although he does look a little like Mr. Magoo, he’s not in the hospital. He did suffer a broken nose. Still wanna be a boxer when you grow up? !